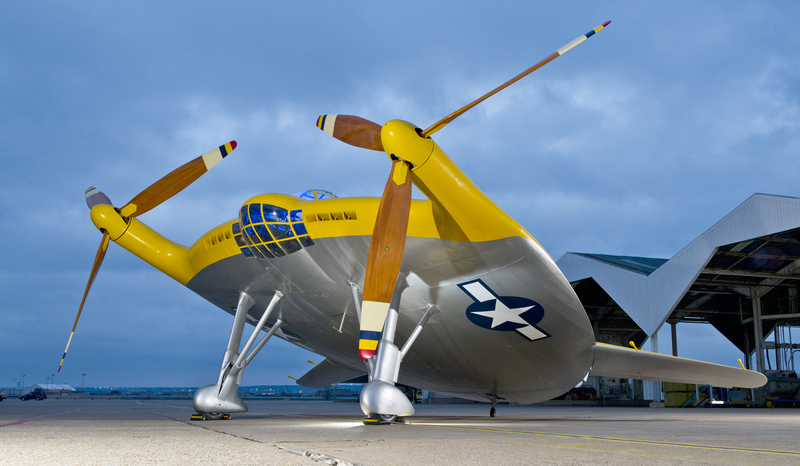 Vought V-173, the “Flying Pancake”, an American trial contender airplane for the United States Navy (1942). The Vought V-173 “Flying Pancake” was an American trial test flying machine worked as a major aspect of the Vought XF5U “Flying Flapjack” United States Navy contender air ship program amid World War II. Both the V-173 and the XF5U highlighted an irregular “all-wing” outline comprising of level, to some degree circle formed bodies (consequently the name) filling in as the lifting surface. Two cylinder motors covered in the body drove propellers situated on the main edge at the wingtips.